Contract Hire and Leasing from Toyota Financial Services allows business users to lease a brand new Toyota directly from Toyota in the UK. Maintained or non-maintained Contract Hire is available this way on all Toyota passenger cars and LCVs. Our expert team is there to help you decide on the Toyota that is right for you, and can offer a range of competitive funding options that are tailored to your needs. A Contract Hire plan from Toyota Financial Services gives a VAT-registered business straightforward and attractive options to keep the business moving. 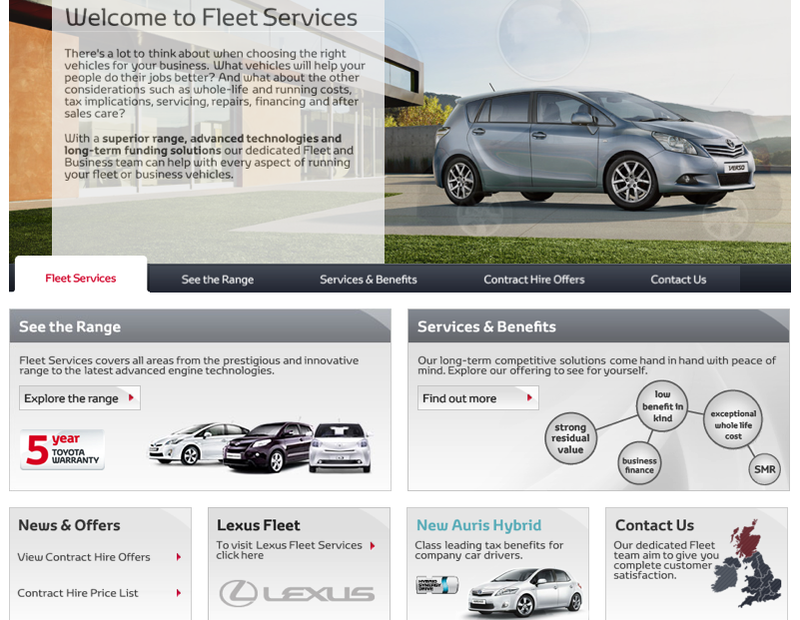 Click here to see our latest offers, find out about services and benefits and explore the vehicle range on the specialist area of Toyota.co.uk. You can find your nearest Business Centre here. Does my Toyota qualify for exemption from the London Congestion Charge? April Fool’s Day becomes April Fuel’s Day with Toyota – and that’s no joke!